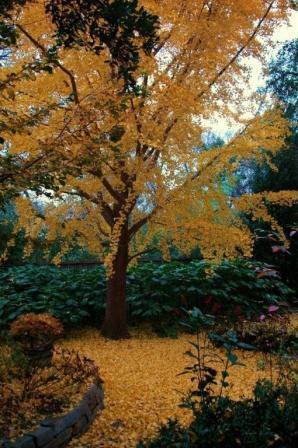 The history of my ginkgo is interesting from two standpoints. One because it was planted when Logan was born and she is the reason I became interested in organics. The second reason is how remarkably well the tree has grown over the past twenty-five years. The growth has been far more aggressive than any ginkgo I’ve ever seen. The largest ginkgo in the Dallas-Fort Worth area is in Tenison Park and my tree is getting very close to having the same overall canopy size. The other tree is probably 80+ years old. Click here to read more on my tree. Click here to see a video on the tree filmed December 11, 2010. If you have any questions on this newsletter or any other topic, tune in Sunday 8am -11am (CT)o the Dirt Doctor Radio Show. The phone number for the show is 1-866-444-3478. Listen on the internet or find a station in your area.